Johannesburg - It must rank as one of the most bizarre football games so far played in South Africa - even by the crazy standards of the amateur ranks. And now, more than two years later, that 39-0 game is headed for the courts, where the legendary corruption that permeates the lower leagues will be laid bare. The case is also likely to embarrass South African Football Association (Safa) bosses for their seemingly lackadaisical attitude towards malpractice in league structures. The game in question was between Super League sides Juventus and JK Eleven, who are affiliated to the Emfuleni Local Football Association (ELFA) in the Vaal. With Juventus needing a large score to overtake top-placed Pekwa All Stars and win a promotion based on superior goal difference, a comfortable win over JK Eleven was a must. This desperation for a large score, asserts Pekwa’s owner Zukile Nomvete, led to what he believes was a clear fix. In court papers filed in the Johannesburg High Court, Nomvete reveals that JK Eleven went out of its way to lose the game by a large margin. Futhermore, he says, this fix seems to have been done with the collusion of the ELFA administrators and match-day officials. Firstly, the game was inexplicably postponed to coincide with Pekwa’s last game of the season, which is against the rules of the league. Then the fix kicked in. “JK Eleven fielded an Under-14 team of youngsters who had no playing cards,” says Nomvete in his affidavit. This was all in violation of the “no card, no play” rule and the law governing the fielding of “unregistered or improperly registered players”. By half-time, the Under-14s were five goals down against their adult opponents. Then, in the second half, Juventus put 32 goals past the youngsters, taking the score to 39-0. When Pekwa took the matter up, there was farce after farce. An ELFA disciplinary committee that sat a few weeks later found in favour of Pekwa on the basis that no team sheets or team cards were produced, there was no referee report and youngsters had been fielded. Despite this, the match was not declared null and void. Instead, ELFA general secretary Martin Mpholo produced “fictitious team sheets” and a belated referee report that confirmed the 39-0 score. He then announced Juventus as the league victors, meaning they would advance to the play-offs. Pekwa escalated the matter to Safa. In June last year, the ELFA bosses were found guilty of violating their own rules and the ELFA was ordered to pay the costs of the litigation. But the farce did not end there. The ELFA executives then concealed the Safa decision and excluded Pekwa from the play-offs. Appeals to Safa chief executive Dennis Mumble and chief operating officer Mthobi Tyamzashe fell on deaf ears. Two years and R250 000 in legal fees later, Nomvete now wants the courts to intervene. 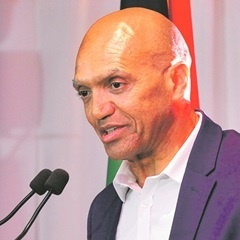 He wants Safa to enforce its decision and return the R10 000 deposit paid for the arbitration and for the ELFA bosses to be held personally liable for the costs he has incurred. “The game was completely irregular and Safa will have to explain itself in court,” Nomvete told City Press. All Stars coach Mduduzi Nkabinde said he was optimistic his team would win the case. Mpholo confirmed the association had been served with court papers. “We have been given 16 days to respond and we will defend ourselves in court as an association,” said Mpholo. Safa spokesperson Dominic Chimhavi said: “The organisation was not party to the dispute; we are not part of the court proceedings. It is between the ELFA and Pekwa All Stars. Safa has ensured that the disciplinary committee decision is implemented because those officials are suspended as we speak. “It is the duty of the ELFA to pay and they have informed us that they are raising the money. There was no claim received by Safa – we would need banking details to deposit the money to Pekwa".